Quick ‘n Brite has been pioneering the way in environmentally safe cleaners for over 56 years. The unique blends of non-toxic and biodegradable ingredients are eco-friendly, yet strong enough for the worst stains and messes. They make cleaning a breeze while removing 99% of germs. Quick ‘n Brite replaces all your household cleaners from your showers and kitchen cleaners to clothing stain removers and carpet cleaners. 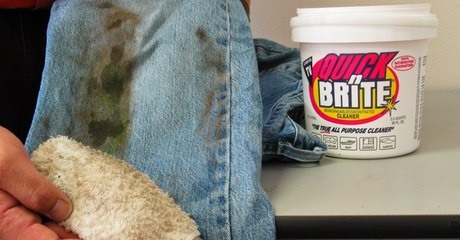 In fact, Quick ‘n Brite works so well it was recommended by Better Homes & Gardens as an “all-time favorite.” And remember, we always have a 100% satisfaction guarantee for as long as you own the product! 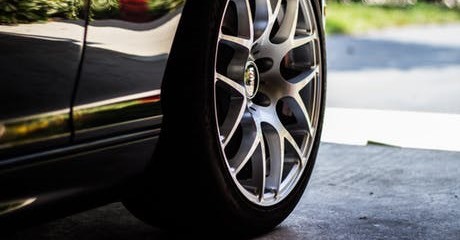 Give your tires that showroom look and effortlessly remove road grime, brake dust, and dirt from your custom wheels. 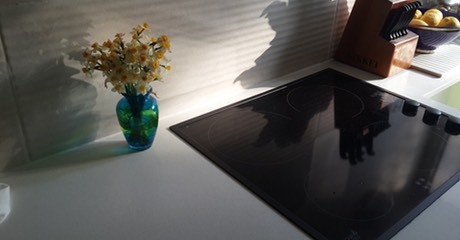 Quick'n Brite cuts through grease and cooking spills and will leave your stove top shining with just a few strokes of the sponge. 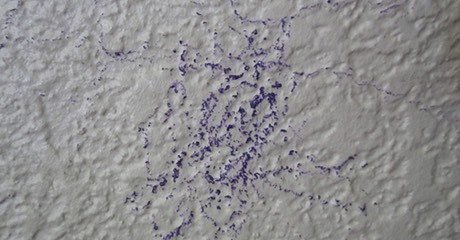 Soap scum, hard water stains and lime deposits on fiberglass tubs and showers will easily come off with Quick'n Brite. Plus there are no fumes or chemicals! Don't throw that shirt or blouse away, rub Quick'n Brite full strength on the spot and completely remove stains. Takes out set in stains no matter how long they have been there. Quick'n Brite will cut through the toughest dirt and grease from windows and mirrors. It effortlessly cuts through fingerprints, dried toothpaste, and even hair spray! Dirt and oil build up on expensive leather furniture comes right off with Quick'n Brite. It will leave it looking new again and even restore that soft leather feel. Dirt, grime, and stains will disappear with the powerful action of Quick'n Brite, no matter how long the stain has been there. When children's art projects move from paper to your walls, crayon, pencil and pen drawings can be safely lifted right off your walls . . . without the fear of also removing the paint. Recover the splendor of your hardwood, tile or vinyl floors with Quick'n Brite. 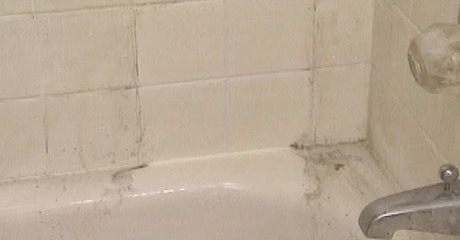 Easily remove years of dirt and grease with one simple cleaning. Q: What is the difference between the liquid and the paste? A: The liquid and paste are both full strength. The liquid is best used for for mixing the product into a spray to replace all your other cleaners. The paste is better used for your worst messes such as set in stains, built up grease, clothing spots, and anything other cleaners can’t take out. Q: What stores carry your product? A: Quick’n Brite is not sold in many stores as it replaces so many cleaners and saves you so much money over other cleaners. You can buy it here on our site – Call our order number (425-778-8285) or order on Amazon. 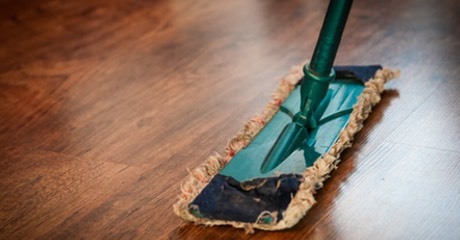 Q: Can I use the product on hardwood floors? 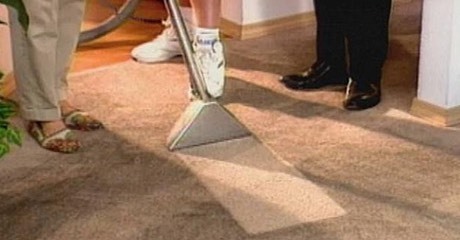 Q: Will your product remove pet stains and odors from carpeting? A: Yes. Our product will remove pet stains and the odors. Please see our Cleaning Tips section for detailed instructions.